Volkswagen Crafter Performance, Engine, Ride, Handling | What Car? 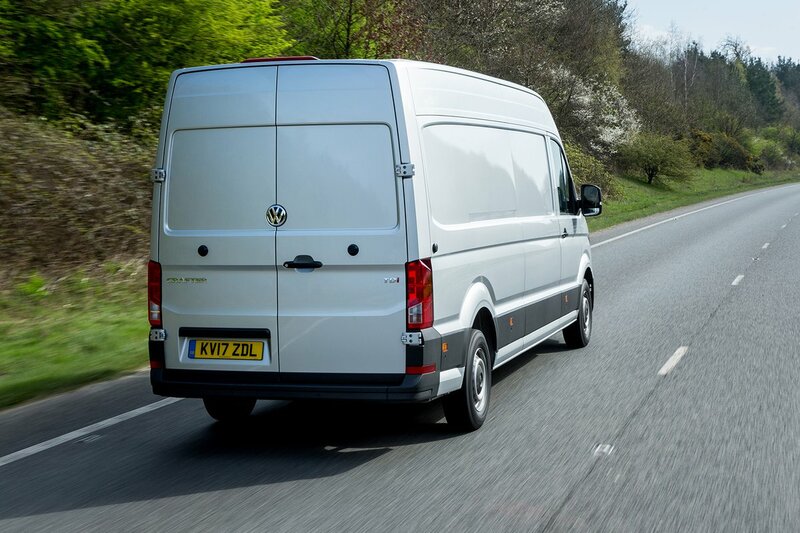 Behind the wheel, similarities between the Crafter and the mid-sized Volkswagen Transporter are obvious. And that’s definitely a good thing, because the Crafter feels every bit as dynamic as the smaller van. Its steering is fast and responsive, which is impressive for an electromechanical set-up, because these often dull the connection between the driver and the road. The Crafter also has a smooth, comfortable ride that only improves with a load in the back. We’d recommend the 138bhp engine (available across all configurations), especially because it then allows you to specify the eight-speed automatic gearbox. 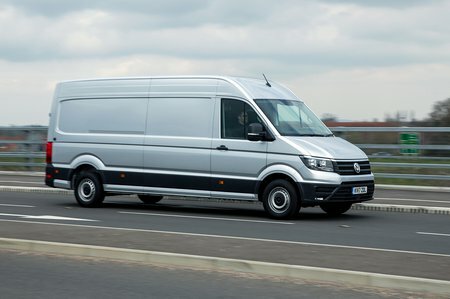 The six-speed manual gearbox is slick, with a nice, clean action, so it’s pretty sophisticated for a large van and perfectly adequate for the majority of users, but the eight-speeder is a superb automatic. It’s the only one in a large van we would consider other than the Himatic transmission of the Iveco Daily. The 138bhp 2.0-litre engine has almost instant power and torque and pulls effortlessly from just a few revs above idle. Braking performance is also impressive, due to the fact that the Crafter is also available in higher weights and can tow up to 3.5 tonnes. The party piece really is that new steering, though. It also allows a whole range of driver assistance functions; driver attention monitoring, lane-keeping assistance, parking assistance and trailer assistance are all now available.